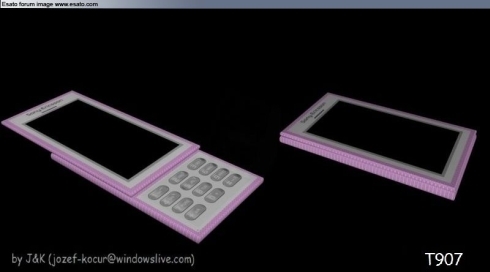 Esato board user JOJO2531 (or J&K, as he signs the designs) created two pretty interesting Sony Ericsson concepts, that we’ve shown you previously. 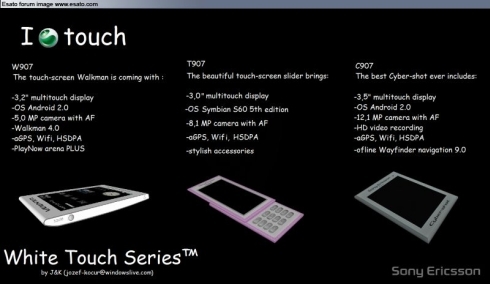 I’m talking about SE W907 and SE C907 and there’s a new handset to have a look at, T907. 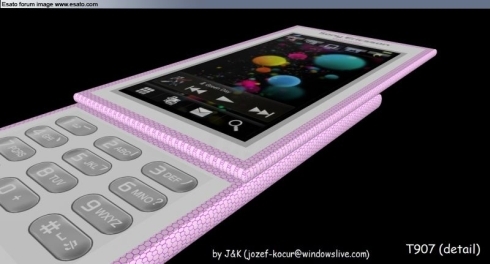 Also, Sony Ericsson C907 had only its picture published, no specs, so here they are: a 3.5 inch multitouch display, Android 2.0, a 12.1 megapixel camera with autofocus and HD video recording, aGPS, WiFi, HSDPA and Wayfinger navigation 9.0. 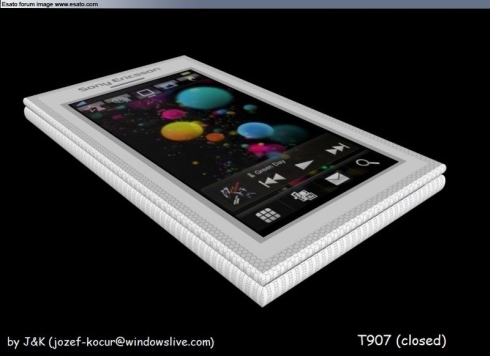 It seems that the 3 concept phones mentioned above are part of the White Touch Series, that the designer sees as 2010 devices. The newcomer of the day is certainly Sony Ericsson T907, a touchscreen slider, with a 3 inch multitouch display, Symbian S60 5th edition, a 8.1 megapixel camera with autofocus, aGPS, WiFi, HSDPA and stylish accessories. 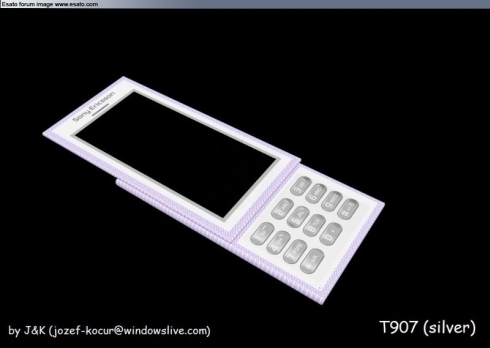 Below you can see the phone pictured in white and pink. Its design is timple and stylish, but a bit too square-ish for my taste. What do you think?